I will never forget the day my parents took my brother and I to Oglebay, West Virginia. Justin and I were complaining that we were not going anywhere over the 2004 winter holidays, and then our parents had to pick a destination in Wheeling, West Virginia. We probably complained the whole drive there, or more likely, we just sat in the van pouting. It was a typical Alison and Justin moment. The Oglebay Institute’s Glass Museum was our first stop. From the moment I entered the gallery, I was enchanted. I actually listened to and learned from the audioguide. 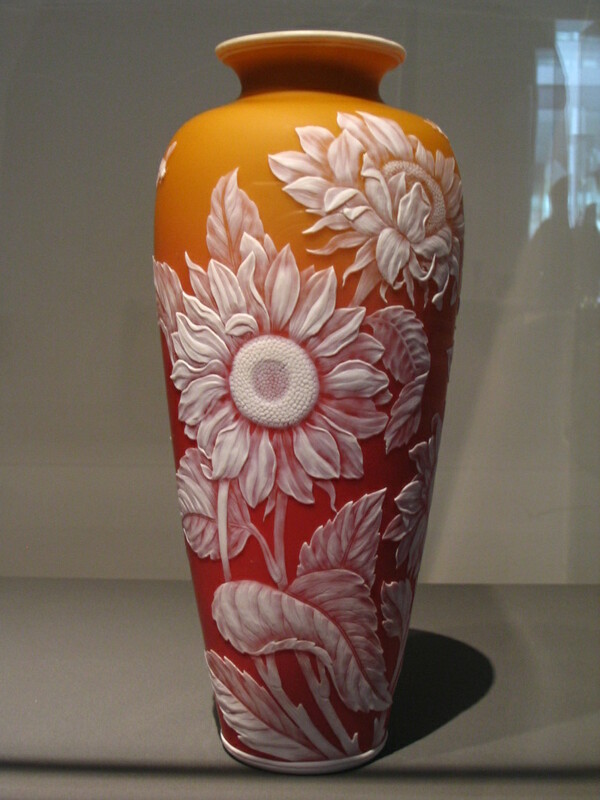 I admired the glass but did not really think about its production. I also watched in awe at the glassblower, who even swung a piece of hot glass around in the air. I asked questions and learned a little, because I wanted to know how the colors were made for the glass, and a few years later, I am still not positive how frit is made. In the gift shop, I bought my first piece of decorative glass, a bowl made in Oglebay’s studio. I use this bowl often and it sits on my coffee table. And when I think about it, it’s the only piece of decorative glass I have purchased. I bought jewelry and wine glasses in Murano and a variety of drinking glasses and a pitcher from Libbey Glass in Toledo. It is the only one I have so far purchased because what I wanted I made myself. 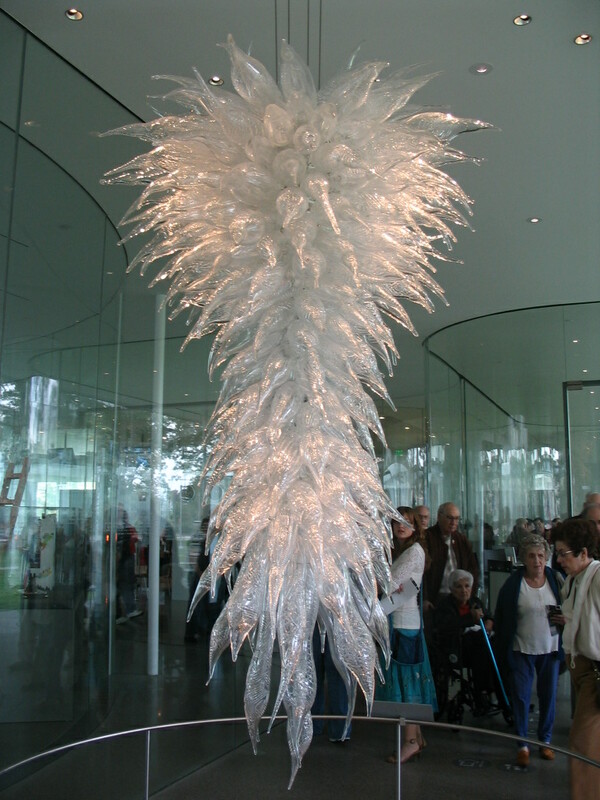 The enchantment and awe I experienced in Oglebay I remember and often thought about when I would visit the Glass Pavilion at the Toledo Museum of Art. 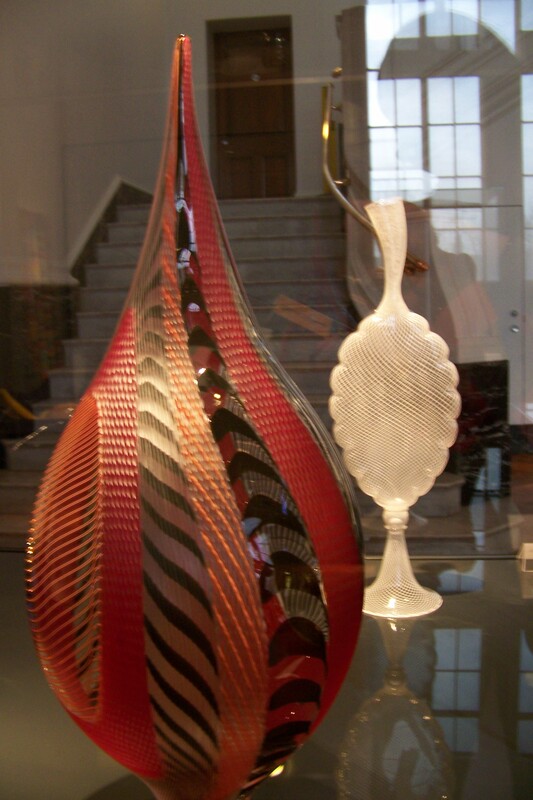 Admiring glass is one thing, but actually knowing and understanding how pieces are created is totally different. So when I found out Bowling Green State University had a glass blowing program and no art requirements were necessary to begin the class, I signed up for a beginner class the fall of my junior year. If there ever was a class where the final product is a result of your own real sweat and work, this was it — the furnaces are kept at a balmy 2100 degrees. Watching my teacher, Steve, make things that we were to replicate was terrifying. First of all, he did not leave out the horror stories of injuries and projects gone wrong, which made him terrifying. And seeing the skill go into these designs was incredible. How could I ever do this, I thought on a daily basis. But by doing, I learned, and if I did not try, I did not progress. Flash forward to last year, when I was studying in Salzburg. My first big trip without the group was to Venice, Italy, so I could go to Murano and watch the glassblowers in the place where glass blowing started. With connections from my other glass teacher, Scott, I went to the Dino Rosin studio where I got to watch his son and head gaffers finish up a piece. They gave us a tour of the facility, including the cold shop and gallery. Being there was a fantastic experience and the whole island of Murano was absolutely charming. And there was glass everywhere across the environs of Venice. I have continued to travel for glass. If a museum had a glass exhibit, I wanted to see it. 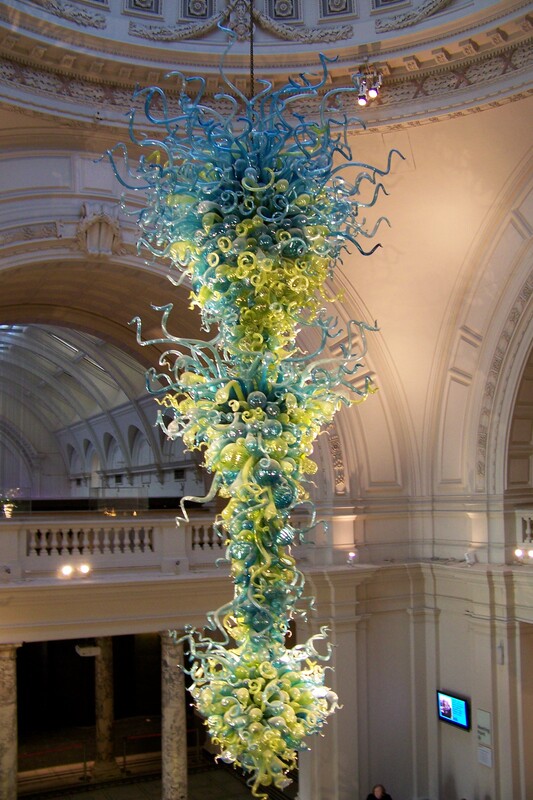 I saw the glass at Victoria & Albert in London and encountered another Chihuly chandelier (left). A couple of weeks ago I went to Columbus to hear Lino Tagliapietra speak, the creator of the red vase to the right. He and Chihuly are at the top of the glassblowing pack, and I adore both of their works, mostly because they make me wonder how they were created because, like for the Tagliapietra vase to the right, I can’t even begin to describe how it was created because it is so far beyond my skill level. 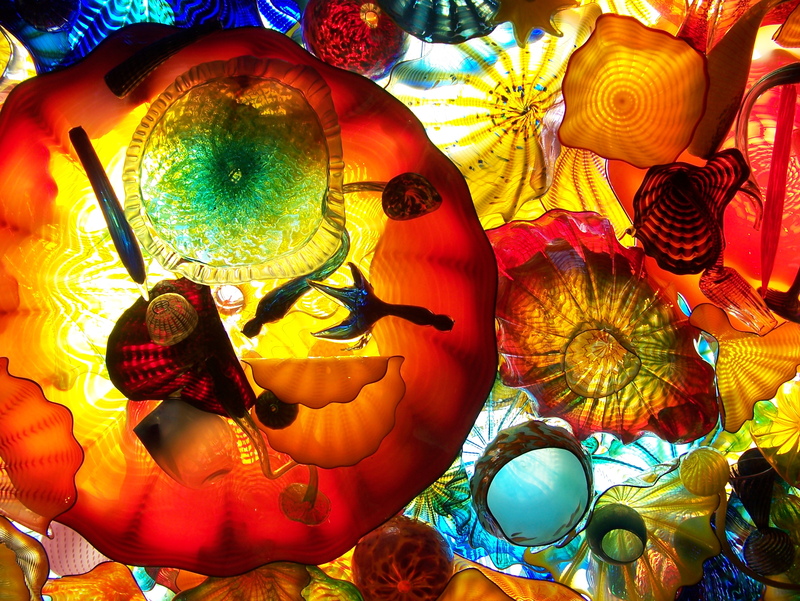 I have a special love for Chihuly’s art because I feel much more of a connection with 3D pieces that interact with the space around it. An example of this is the Franklin Park Conservatory in Columbus and its collection of Chihuly pieces, which I just visited Monday. 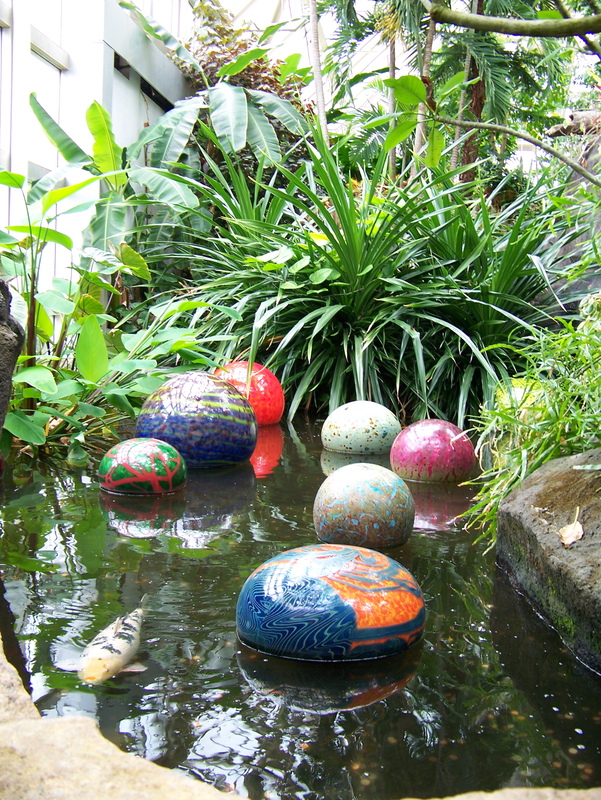 In the lobby and atrium of the museum there are decorative pieces hanging from the ceiling or attached to the walls, but in the actual gardens, his pieces are interspersed with the plants, strategically designed and placed to interact with the surroundings. Take the “Persian Ceiling” (left) that was in a rock enclosure and was symbolizing the shells and sea creatures that would be on the sea floor. 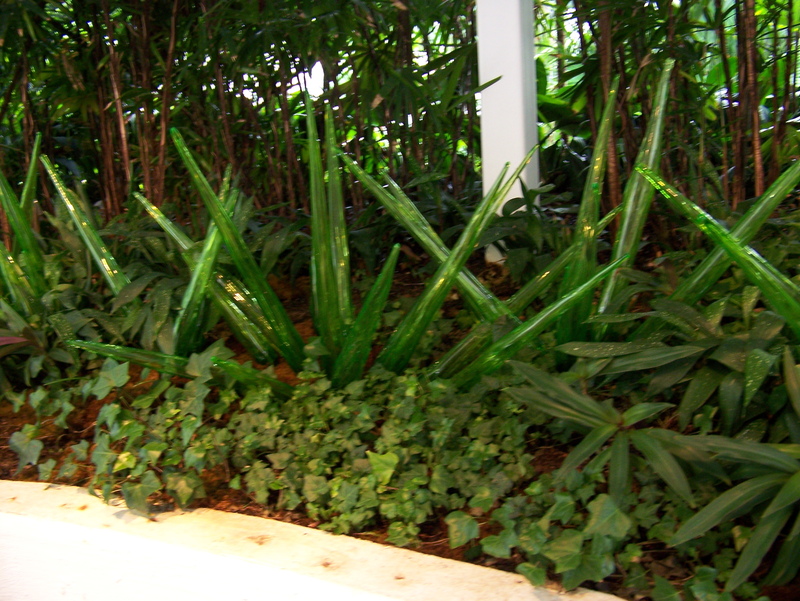 Or the “Green Grass,” (right) green glass spikes in the Palm House. 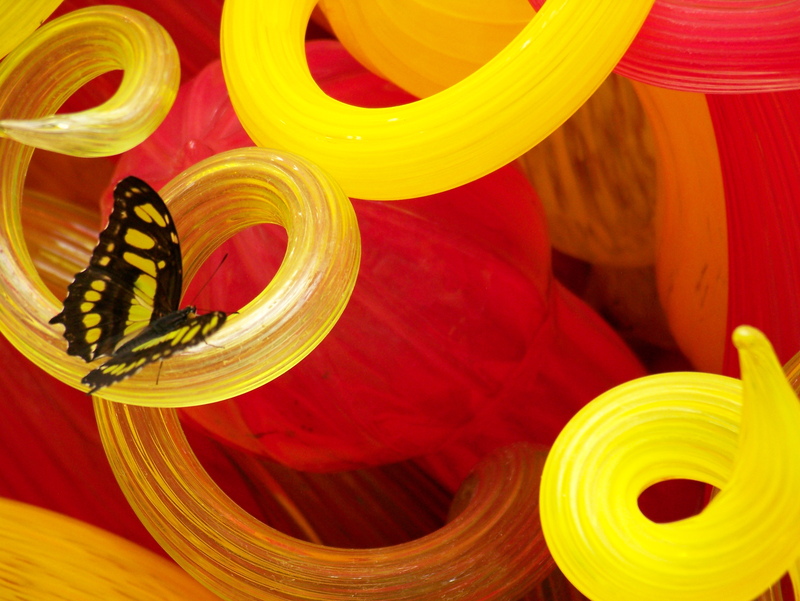 The most amazing section of the gardens was the Butterfly House, a warm habitat for a variety of butterflies and Chihuly sculptures. There are orbs floating in the water, spikes in the forest and a giant tower of red, orange and yellow flourishing spirals and curlicues. The butterflies land on them (left), interacting with the sculptures as well. My jaw dropped and I gasped when I entered the room (right), amazed at the glass and even further amazed at the butterflies. I didn’t know that there was an exhibit to this magnitude on display, and the floating orbs and spikes were glass displays of Chihuly’s I have often seen pictured but not seen for myself. For more pictures of the display at the Franklin Park Conservatory, click the photo below. 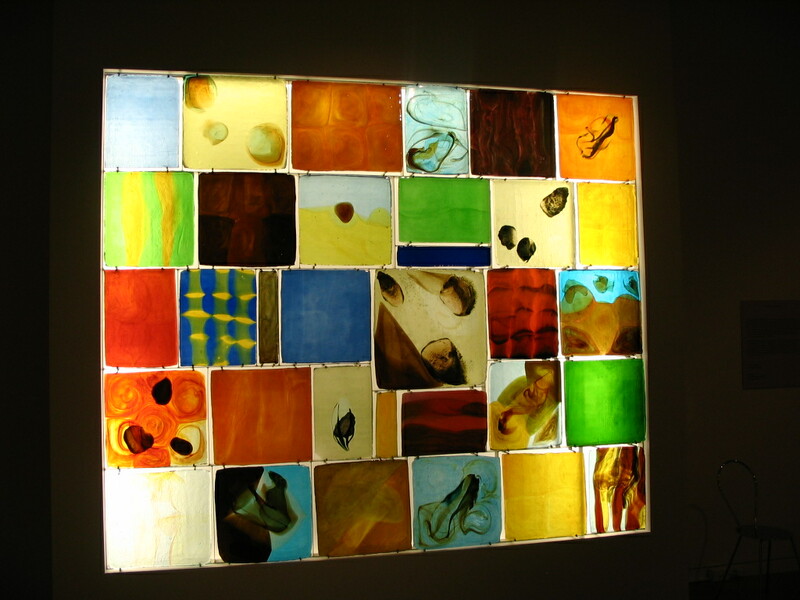 And if you have any glass stories or favorite pieces of decorative glass, please share. This entry was posted in North America, Photos, Travel Narrative, U.S. and tagged Columbus, Glass, Ohio, Photos, Toledo, Travel, Venice, West Virginia. Bookmark the permalink.